Your wedding will be quite the celebration! Heartfelt vows, gorgeous décor, a scrumptious meal; how could you not enjoy attending such a wonderful event? While there will be many elements that will create your big day, know that there is one detail that will provide your guests with a great deal of entertainment, and that would be alcohol! Open Bar. Are you choosing to be a gracious host? If so, you will certainly want to present an open bar. This way, no guest will have to pay for any of their drinks, and they can order any drinks that they please. Limited Bar. If you would like to save a little bit of money when it comes to your wedding, you could choose to present a limited bar. By doing so, you can set a drink limit that will be paid for by you for your guests, such as two drinks per guests. After they have consumed their limit, they will then have to pay for any additional drinks. Cash Bar. Weddings can be quite expensive! So, if you are choosing to not pay for your guests to drink, you can showcase a cash bar. 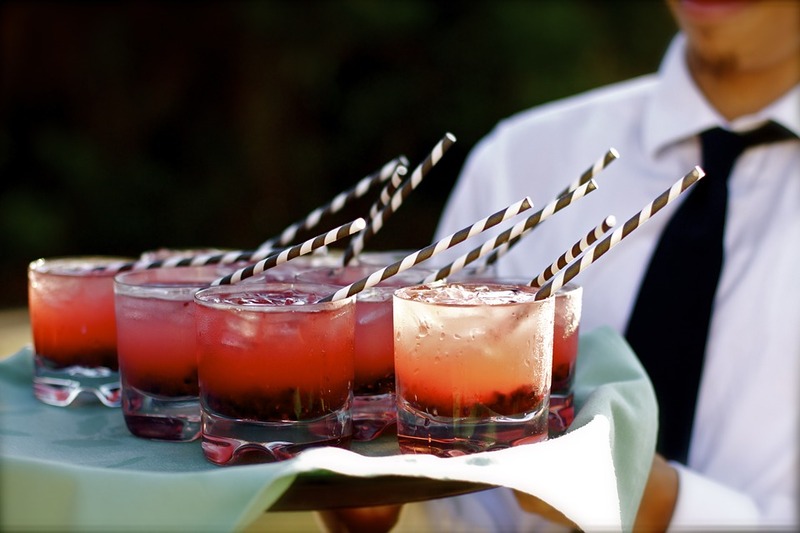 With a cash bar, your guests will be required to pay for all of their own drinks. Alcohol is a great way to ensure that your wedding guests are entertained! These are just a few ways in which you can serve drinks at your own wedding. Are you still searching for a wedding venue in Columbus, Ohio, such a J Liu, to host your own celebration within? If so, please get in touch with us here at Engaged Columbus, as we would be thrilled with the opportunity to pair you with yours.